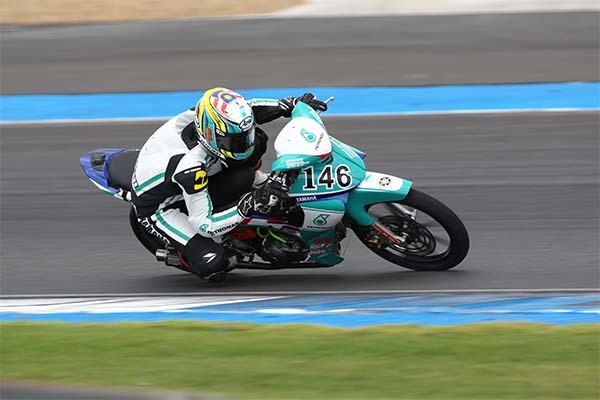 Ratthapong Wilairot saved his best for last when he stole pole position ahead of Sunday’s PETRONAS Asia Road Racing Championship race at the Chang International Circuit in Buriram, Thailand. Ratthapong put an inch-perfect lap in the closing minutes of a hectic SuperSports 600cc qualifying session, roaring to pole in 1’40.460s, a thousandth of a second ahead of compatriot, Jakkrit Swangswat while championship leader, Katsuaki Fujiwara locked out the front row in 1’40.600s. Suzuka (Round 4) winner, Yuki Ito (PETRONAS Hong Leong Yamaha) will start the 16-lap race from row two having qualified fourth fastest with 1’40.770s, lining alongside Mohd Zaqhwan Zaidi and Tomoyoshi Koyama who clocked their quickest lap in 1’40.788s and 1’40.827s respectively. Meanwhile Gupita Kresna maintained his perfect start to the race weekend when the Indonesian rider snatched pole ahead of Rozaiman Mohd Said and Ferlando Herdian. Gupita stamped his mark in his fourth tour around the Chang circuit with 2’09.423s right before rain interrupted the 40-minute qualifying session. Rozaiman who had expected wet conditions posted his best time early with 2’10.476s followed by Ferlando (Faito Factory Racing), 2’11.397s. 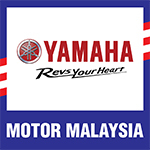 Taking off from second row would be homegrown rider, Vorapong Malahuan followed by Norizman Ismail and Ahmad Fazli Sham (PETRONAS Hong Leong Yamaha).